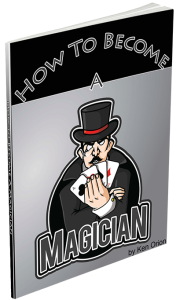 Magic Tricks With Cards: Where Do I Start Learning? These books will take you from the very beginning – how to hold the cards, what to call the edges of the cards, etc. Giobbi then progresses through five volumes, continually building on everything that came before. As a matter of fact, there are more than 5 volumes. Giobbi put out “Introduction to Card Magic” as a great place to start. It’s perfect because it’s a pdf – convenient and great for the immediate gratification addicts like me:). It even has video clips in it, which I found super helpful. That’s where I began. You can download it right how here for only about 8 bucks. You can get book 1 – Card College, Vol. 1: A Complete Course in Sleight-of-Hand Card Magic on Amazon. So many magicians swear by learning magic from books. I understand that things enter the brain a certain way when you try to understand the written description. But I am REALLY visual and like to ALSO get a video demonstration when at all possible. That’s why I liked volumes 1 and 2 so much. You can get PDF versions of those, each containing videos of the moves. Awesome. Unfortunately, that stopped with volumes 3-5. As the name of the main series implies, it is a course on sleight-of-hand card magic. That means it teaches you handle cards in a magical way, to create the illusions and spectacles that are so cool in card magic. So no matter what kind of card magician you want to be, you can make a great start with the Card College Series.